NEW YORK, Nov 13 (IPS) - The simultaneity presented by the outbreak of the deadly Ebola virus on one hand and militant barbarism ostensibly in the name of Islam on the other present the international development community - particularly the United Nations and international NGOs – with challenges, as well as opportunities. The other, i.e., ISIS/ISIL/IS, appears to be a complex basket of geopolitical conflagrations involving a violently militant political Islam, weak governance dynamics, botched uprisings, transnational youth disaffection, arms proliferation -- all to name but a few. So what is the connection and why is this relevant to international development and humanitarian engagement? In a Strategic Learning Exchange organised by several United Nations bodies, and attended by U.N. development and humanitarian staff, and their counterparts from a number of international faith-based development NGOs, which took place in Turin, Italy last week, the confluence of these challenges was tackled head-on. The U.N. and faith-based NGO staff present work both in their headquarter organisations as well as on the ground in countries in Africa, Asia, and the Arab region. In both sets of cases, there are realties of overstretched service providers seeking to respond, in real time, to rising death tolls, collapsing state-run services, and the actual inability to deliver basic necessities to communities struggling to stay alive because of diverse, but nevertheless man-made, barriers. Some of these are run by those carrying arms and demarcating territories as off limits while those within them are imprisoned, tortured, killed, terrorized, and starved. Other barriers are made of communities hiding their ill and their dead, distrusting and fearing those seeking to help, and anguished over the loss not just of loved ones, but also of care-takers, sources of income, and means of protection. But there are other barriers which the last few weeks and months have revealed as well, some of which present long-term challenges to institutional and organisational cultures, as well as to the entire ethos of international humanitarianism and development as we know it today. The response to the Ebola virus, first and foremost, focused on the medical aspects – which was/is urgent and unquestionable. But it took months before international aid workers realised one of many tipping points in the equation of death and disease transmission: that burial methods were key, and that even though there are manuals which seek to regulate those methods so as to ensure medical safety, there was relatively less attention paid to the combined matter of values, dignity and local cultural practices in such crisis contexts. Burying the dead in a community touches the very belief systems which give value and meaning to life. 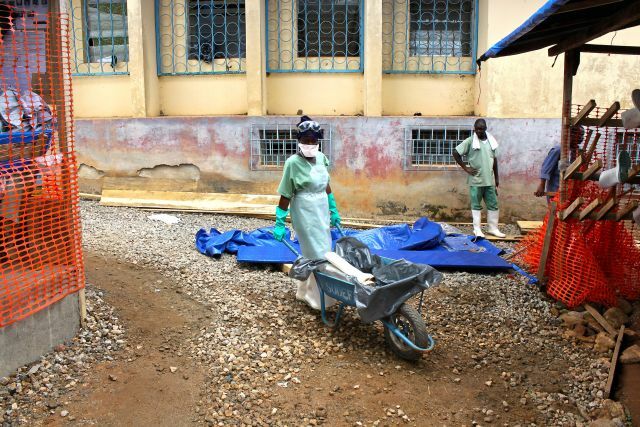 How those infected with Ebola were buried had to be tackled in a way that bridged the very legitimate medical health concerns, but also enabled the family and community members to go on living - with some shred of meaningfulness to their already traumatised selves – while not getting infected. When this particular dilemma was noted, faith leaders have been hastily assembled to advise on burial methods which bridge dignity with safety in these particular circumstances. But the broader and more long-term roles of ‘sensitising' and bridging the medical-cultural gap between international aid workers, local medical personnel and over-wrought communities have yet to be worked out. And the opportunity to address this medical-cultural gap (which is not new to development or humanitarian work) extends beyond burials of the dead and medical care for the living, to providing psycho-social support, and ensuring economic livelihoods. In these areas, too, faith-based NGOs have roles to play. The militancy of ISIS and the repercussions of the war currently being waged both with and against them presents a similar set of cultural challenges to national and international actors. This cultural feature was reiterated with cases from the same Arab region involving Hizbullah, Hamas, and now ISIS. How to navigate practical roadblocks controlled by parties you are not supposed to be talking to as a matter of principle, and who question the very legitimacy of your mandate, as a matter of practice - precisely because it does not ‘do religion' and is part of a ‘Western secular agenda'? Yes, there are manuals and protocols and procedures governing the provision of services and rules of engagement - in compliance with international human rights obligations. Yet, some hard questions are now glaring: should any form of ‘dialogue' or outreach be possible between those who speak human rights law, and those who wish to speak only of "God's laws"? Are there lessons to be learned from prior engagement with (now relatively more mainstream) Hizbullah and Hamas, which may have resulted in a different trajectory for the engagement with ISIS today, perhaps? Boko Haram's actions in Nigeria and al-Qaeda's presence (and elimination of Bin Laden) in Afghanistan have highlighted a link between religious dogma and critical health implications. Unlike with Ebola however, a possible role for faith leaders – and other faith-based humanitarian and development actors – has not been solicited. At least, not openly so. And yet, could these roles shed some light on the particular ability of some religious actors to maneuver within humanitarian emergencies in these specific circumstances? Could a clearer appreciation of the potential value-added of faith-based interventions - which have to be distinguished from those of ISIS, al-Qaeda, Boko Haram, etc. - increase understanding of and dealing with a world view that is costing lives, now and in the future? ISIS claims religion in its very name, ethos and gruesome actions. Can the international humanitarian and development worlds afford to continue to ignore religious dynamics – precisely because of the extent to which their actions challenge human rights-based actions? And if the international community makes a choice to deal with any religious overtones - and is not capacitated in its current frameworks to do so – whose assistance will be needed to call upon, in which fora and with what means? There are answers to some of these questions already percolating in several policy-making corridors, inherent in the experience of many cadres working with faith-based/ faith-inspired development NGOs, and academics who have devoted decades of research. What was clear from the discussions in Turin, and other roundtables on religion and development, is that these questions have to be posed, because the answers belie multiple opportunities.